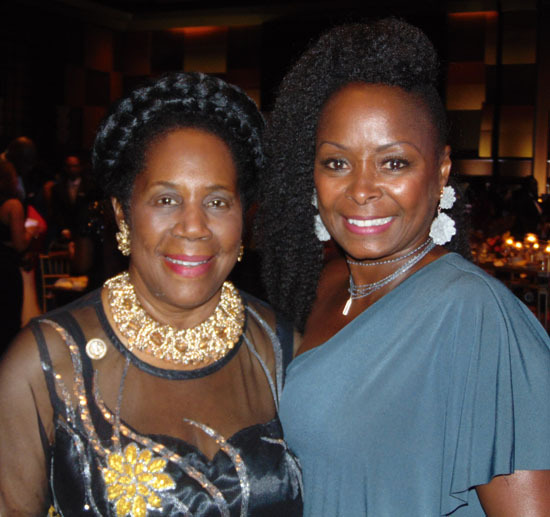 The Ensemble Theatre celebrated its 2018 Celebrity Black Tie Gala “Elevating the Arts” at the Hilton Americas-Houston in Downtown Houston on Saturday, August 18, 2018. The evening began with a Mayor’s reception and silent auction including VIP sporting event tickets, exotic travel packages, and autographed sports memorabilia. 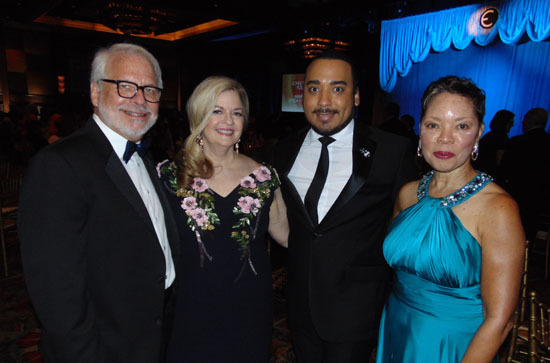 The Gala’s Lead Sponsors included H-E-B, Shell, BP America, Inc, United, Bracewell LLP, and Frost Bank. 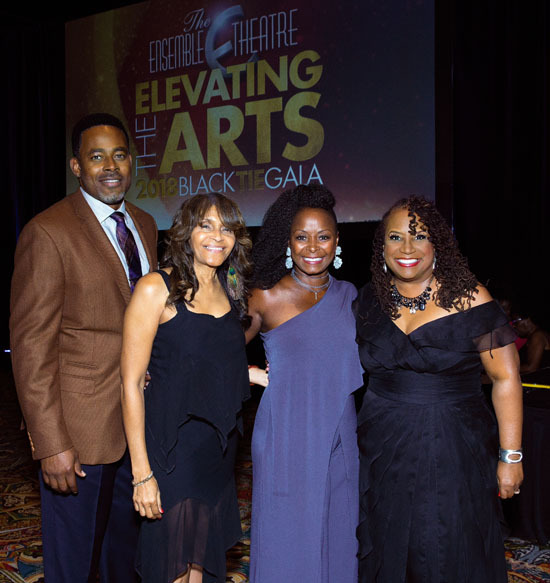 Andrea and Jarvis Hollingsworth, Wendy and Vince Armstrong, were joined by a host of devoted corporations and individuals who continue to invest in the advancement of the Ensemble Theatre’s mission to enlighten, entertain, and enrich diverse audiences. Two oversized HD movie screens displayed a pictorial tribute to Aretha Franklin as attendees watched and applauded. A photo montage filled with highlights of productions from the previous season showed throughout the evening. 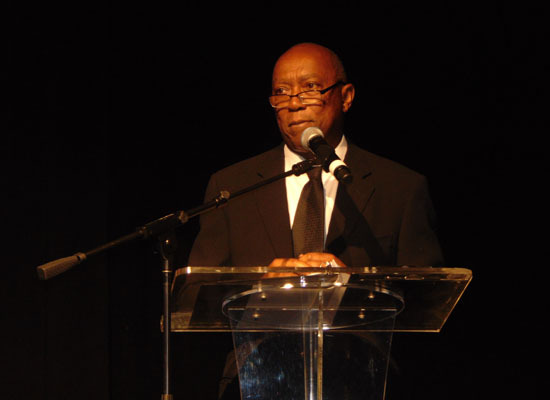 The Gala serves as the theatre’s major fundraiser supporting its annual $2 million operating budget. The theatre’s board of directors and staff welcomed more than 400 esteemed donors and supporters. 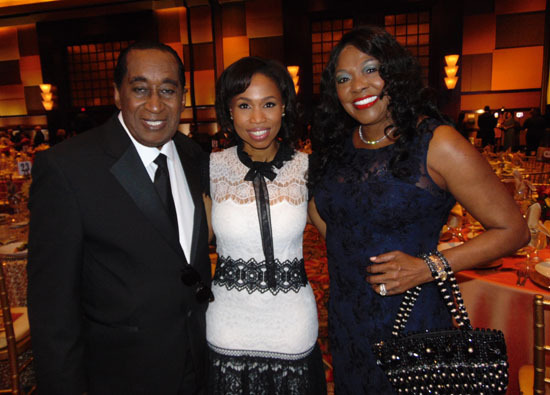 Andrea and Jarvis Hollingsworth were the Gala Honorary Chairs as well as James T. Campbell and Laurie Vignaud serving as the Gala Co-Chairs. 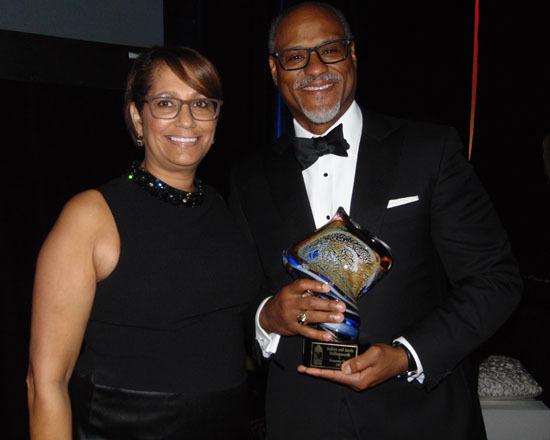 This year’s honorees included: Crystal Fox, Actress of the Year; Lamman Rucker, Actor of the Year; Wendy Armstrong, Rising Star Award; The Creuzot Family, Community Partner of the Year; and United Airlines, Corporate Partner of the Year. A special honor was given to David Bray for more than 15 years of volunteer service as the theatre’s photographer. Actress Crystal Fox, known by many through her most visible work to date, starring as Hanna Young in (the ONE and ONLY) Tyler Perry’s The Haves and the Have Nots. Fox shared a personal testimony of why she chose acting as her career and made a declaration for attendees to continue to support the arts. “I took this career path because I wanted to give voice to the voiceless,” said Fox. 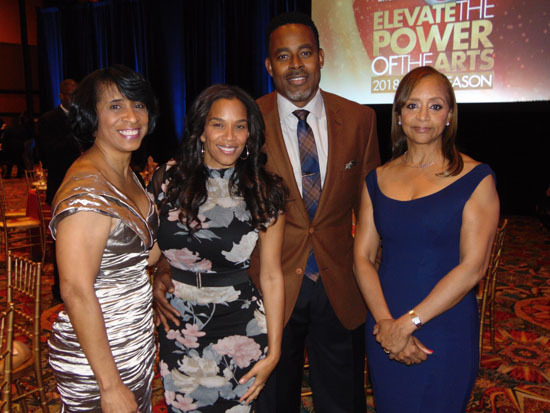 Lamman Rucker is currently recognized for his starring role in the OWN TV Network show Greenleaf as Jacob Greenleaf. 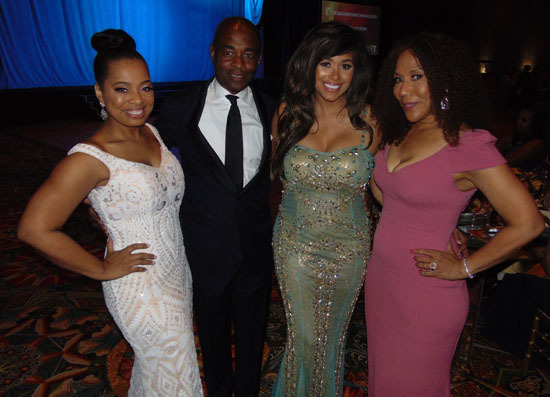 Rucker said, “It is now our responsibility and our focus on having the vehicle to liberate us through the authenticity of our stories.” Melanie Lawson (ABC13) and Damali Keith (FOX26) kept the energy high as the evening emcees. Board President Jesse Tyson shared closing remarks by thanking the honorees, sponsors, board members, actors, staff, and volunteers for their support in making the evening a success. “We thank you and we invite you to join us this entire season as we continue Elevating the Arts,” said Tyson. The Collector’s Item Band helped conclude the program with a packed dance floor. 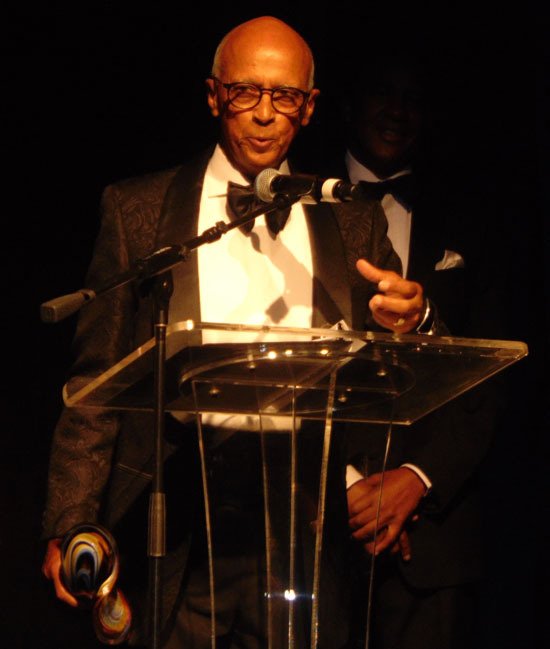 The Ensemble Theatre was founded in 1976 by the late George Hawkins to preserve African American artistic expression and enlighten, entertain and enrich a diverse community. In addition to being hailed as the oldest and largest professional African American theatre in the Southwest, it also holds the distinction of being one of the nation’s largest African American theatres that owns and operates its facility with an in-house production team. 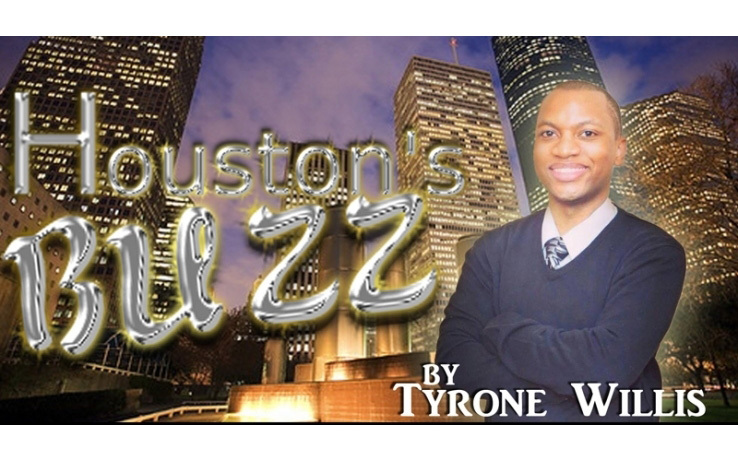 The Ensemble Theatre produces a main stage season of six contemporary and classic works devoted to the portrayal of the African American experience by local and national playwrights and artists. The theatre’s Performing Arts Education program provides educational workshops, Artist-in-Residence experiences and live performances for students both off-site and at the theatre; and the Young Performers Program offers intensive summer training for children ages 6 to 17, encompassing instruction in all disciplines of the theatre arts.